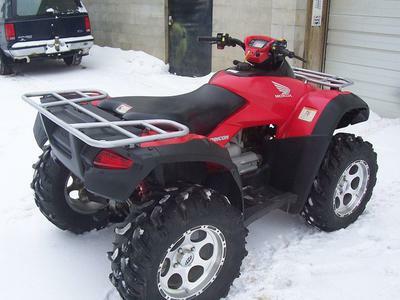 The 2003 Honda Rincon 650 for sale is in good used condition, runs and rides great and everything on it works well. 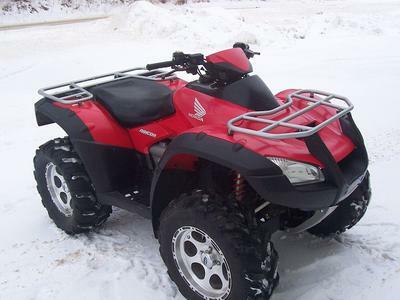 The 4x4's features work including the brakes, lights, battery, 4wd and while it's not quite a perfect ATV; it's very straight and nice looking. The Rincon currently has 5139miles and 8927 hours of use on it. 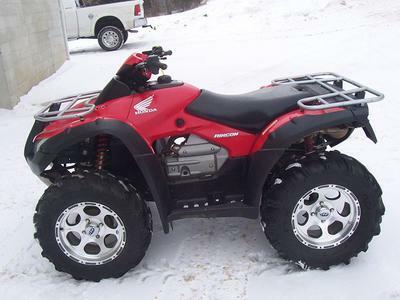 If you would like to write a review or voice any opinions on the 2003 Rincon for sale in this ad, you may use the comments form below this ad to tell us what you know about it. Thanks for visiting GoGoCycles Used Motorcycles for Sale and for taking a look at the used HONDA ATV in this classified. 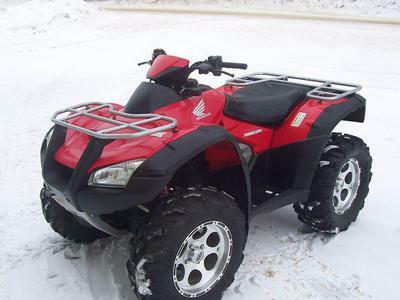 The 2003 Honda Rincon 650 for Sale is in Hartland, WI Wisconsin and in my opinion my asking price is very good plus we can talk about my delivering it to you if you want. If you want to make an appointment to take a look or have questions, email me at diana"DOT"mcmillan99 "AT" juno "dot" com for more details and don't forget to mention that you found this ad on GoGoCycles Used Motorcycles and Parts for Sale www.gogocycles.com.